The world’s best teas delivered to your door. All our teas are guaranteed free from artificial additives or flavourings. They're also really really good (just saying). If for some reason you are not scouring the bag for every last tea leaf, we will be happy to issue a full refund on your box. We won’t even ask to see the evidence. We host bi-weekly tea parties where dozens of our members score the teas to decide who’s the best. We sometimes also wear funny hats, and we always drink with at least one pinky in the air. Check out April's teas. Now taking orders on our Mother’s Day box, shipping on the 17th. 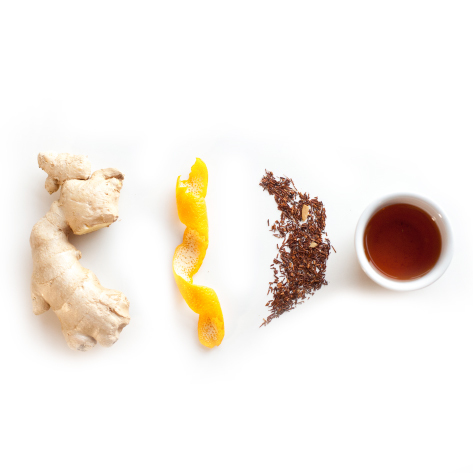 A unique blend of Rooibos and six organic spices produces a calming, naturally caffeine free tea. Hand blended on Cortes Island in small batches with the freshest ingredients. 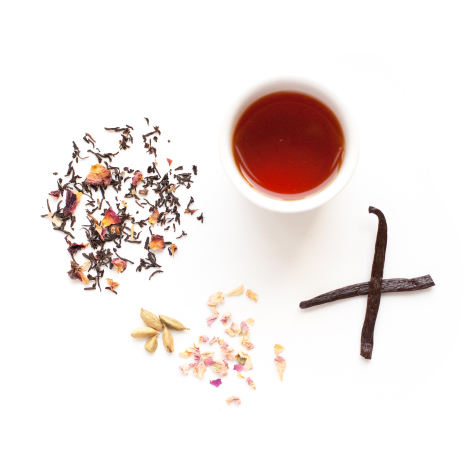 Vanilla, cardamom and rose layer over a smooth black tea, creating a rich flavour that is sweet, floral, creamy and slightly spiced. 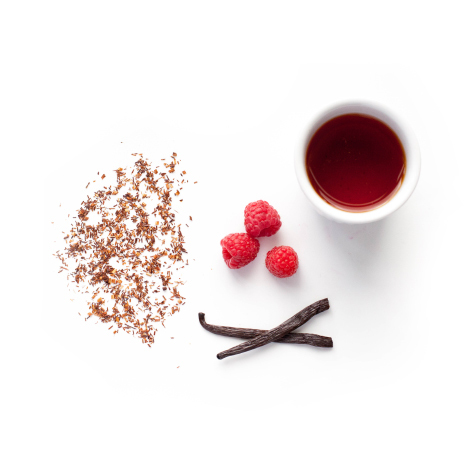 This is our most decadent blend. Enjoy hot or iced! Check out March's teas. Now taking orders on April’s box, shipping on the 17th. 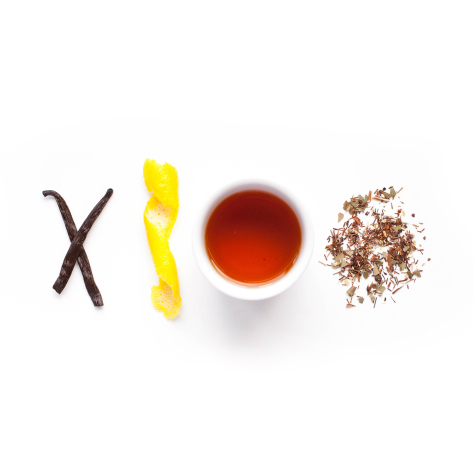 Zesty lemon plus caffeine-free, high-antioxi- dant rooibos. What could be better? Only one thing: proceeds from this tea are donated to International Justice Mission Canada to fight human trafficking internationally. Original ayurveda blend. Spicy and gingery with hints of licorice and mint. An invigorating smell and flavour with smooth and full flavoured after taste. 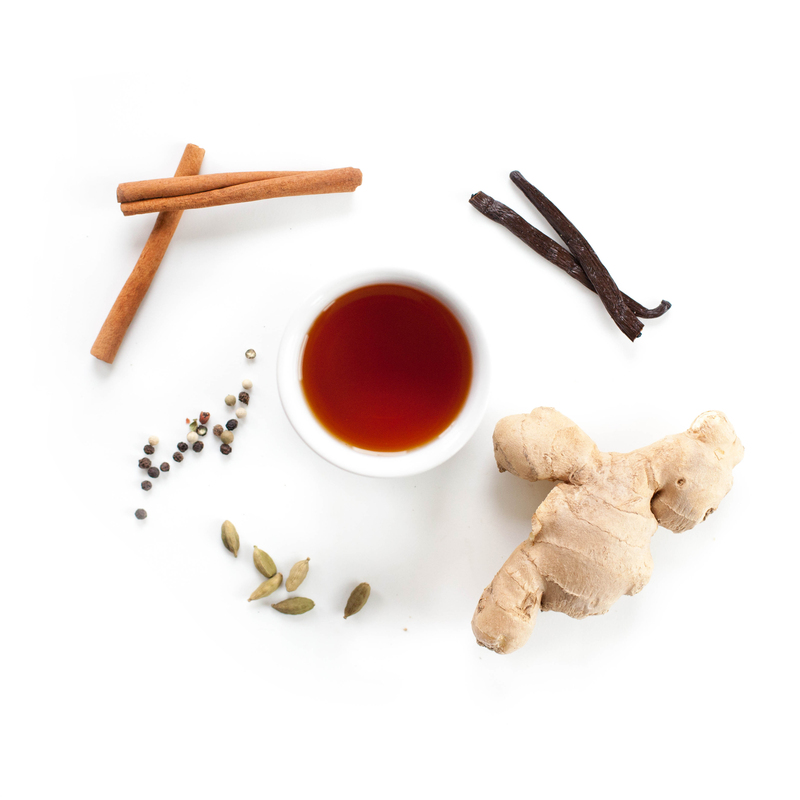 A great tea for after dinner or to help you recover from that cold or flu. 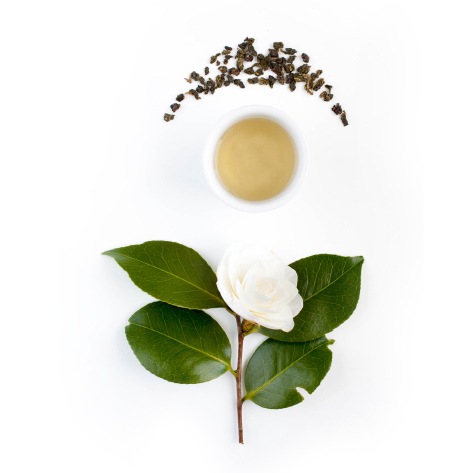 Floral, smooth and rich, this tea is the real deal: just organic green tea and organic jasmine extract. 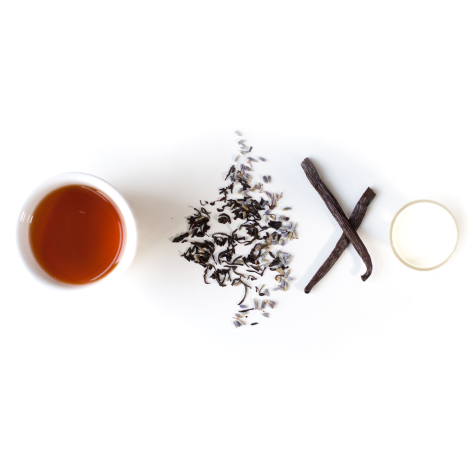 What do you get when you blend black tea, bergamot and vanilla? Pure deliciousness, the kind your teapot craves every morning. Go on, let your teapot have its wish; you won’t regret it. Check out February's teas. Now taking orders on March’s box, shipping on the 17th. 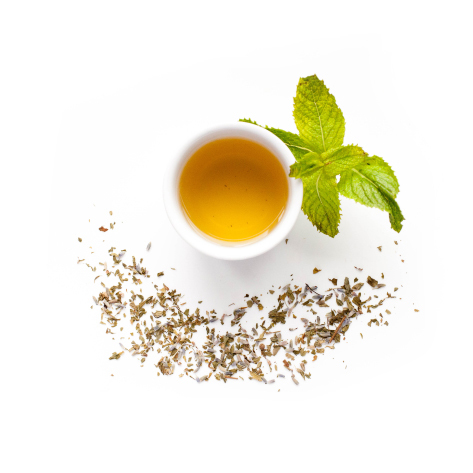 Is there anything more refreshing than a cup of organic peppermint tea? Good for you (and your breath), this tea is as pure as they come. This tea is creamy, smooth and decadently floral. It isn't a Lady Grey; it's the Queen's grey! 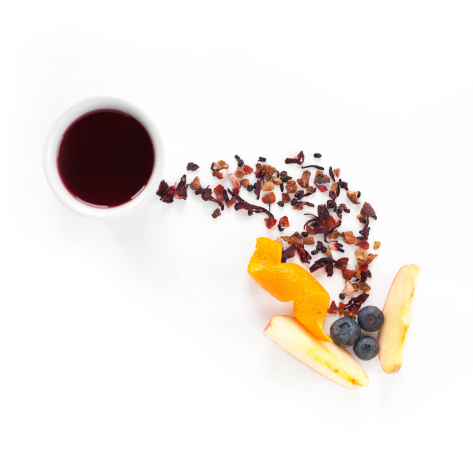 African rooibos and whole, wild blueberries provide a perfect balance of tart, juicy and naturally sweet flavours. 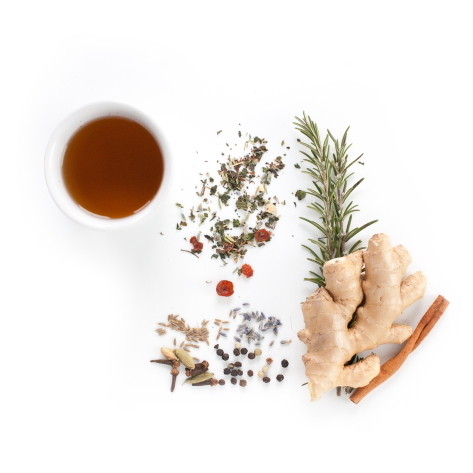 This tea is artfully hand blended in small batches using only 100% naturally caffeine-free botanicals and artisan herbal tea-blending techniques. Enjoy it hot or iced. Did you know that Walt Whitman spent most of his career writing and re-writing Leaves of Grass? Just take that in as you stop to savour this slightly grassy, slightly sweet Chinese Sencha tea. Check out December's teas. Now taking orders on January’s Holiday box, shipping on the 17th. 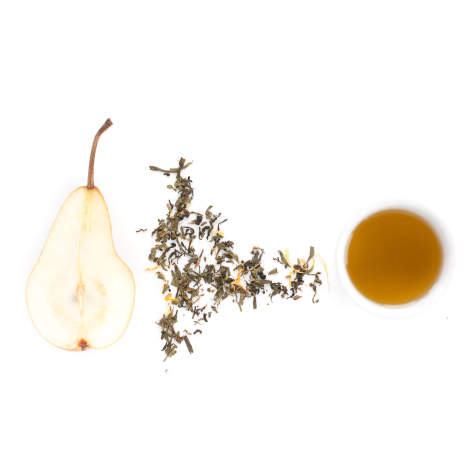 The taste of succulent pear pieces combines with a floral aroma for a light, refreshing finish on the palate. The blend of the two organic estate green teas makes this tea so unique and complex. This tea is deliciously divine. 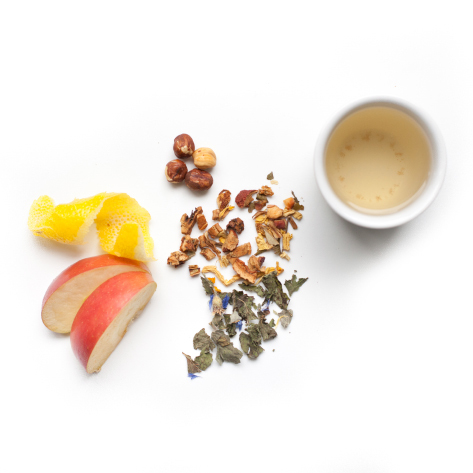 The green rooibos, fruit pieces and hazelnut crunch make this the perfect seasonal blend. With a dash of milk you have warm apple pie a la mode in a cup. Decadent black tea coconut marzipan in a cup. You're welcome. In the west we are only now discovering the antioxidant power and health benefits of cacao – the bean that all chocolate is made from. Cacao contains over 300 compounds such as: proteins, fats, carbohydrates, fiber, iron, zinc, copper, calcium and magnesium. 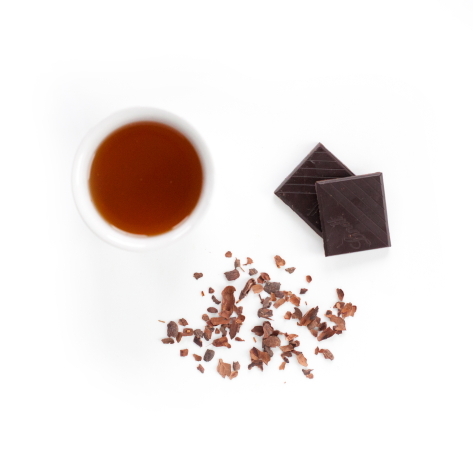 Our organic herbal tea is made from the delicate fibrous shell around the cacao bean. Check out November's teas. Now taking orders on December’s Holiday box, shipping on the 14th. 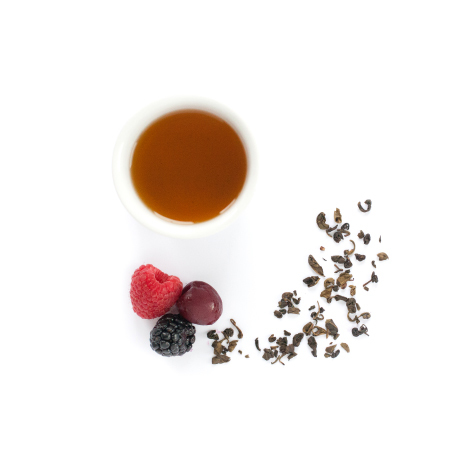 1st place winner of the 2011 North American Tea Championship, this tea’s sweet nutty flavor is both smooth, simple and satisfying. Experience a burst of sweet tropical fruit flavors. 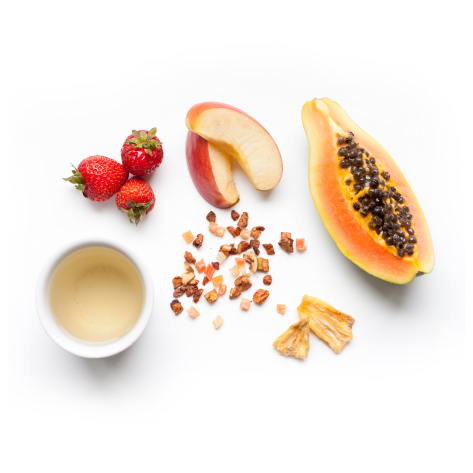 Pineapple, mango papaya along with lemon, dog rose and raisins create a rainbow of taste that mimics the vibrant colors of Hawaii. Raspoutine represents Russian traditions and will seduce you with its complex mix of exotic fruits, jasmine, citrus, bergamot and rose aromas. 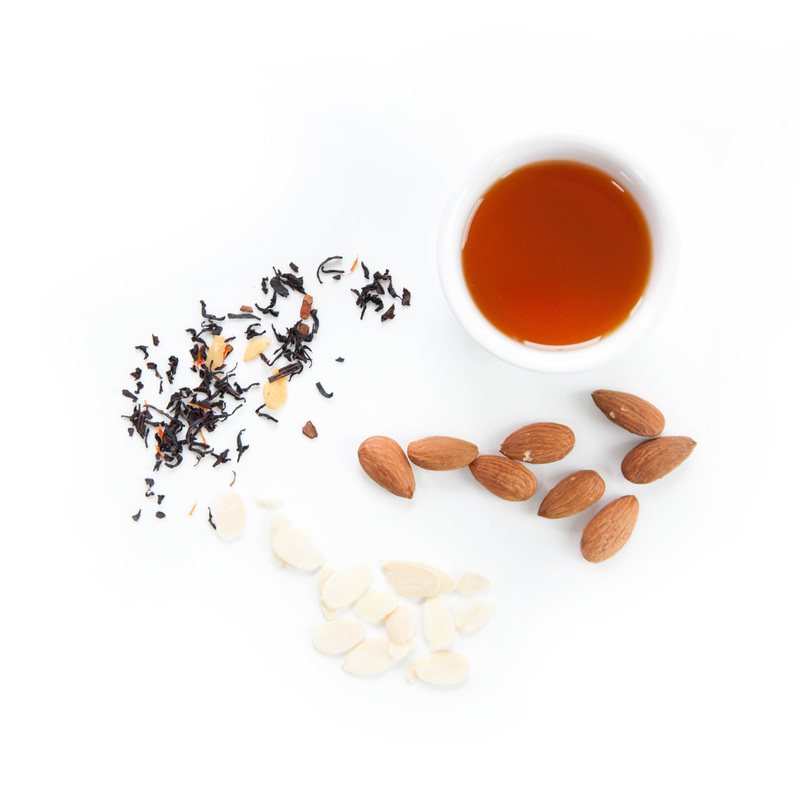 Chopped coconut and chopped almonds in a rich red rooibos base make this a creamy, warm, luscious cup of delight. 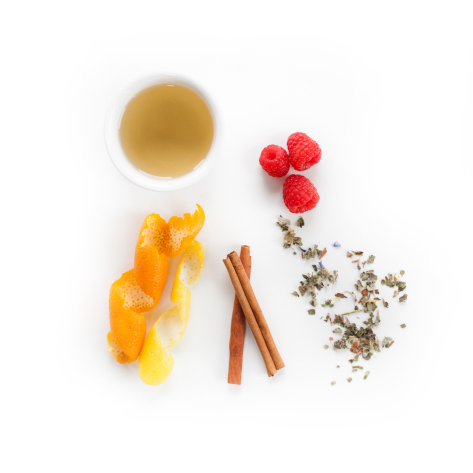 If you are fan of our Snowflake tea you will love this non-caffeinated version of it. Check out October's Summertime teas. Now taking orders on November’s tea box, shipping on the 17th. This is your fireplace rooibos, your cozy socks rooibos, your leaves crunching under your feet rooibos. Alright, enough clichés. Go drink your rooibos! Organic Jaipur Gardens is a majestic green tea blend with sweet and floral notes. Make sure to brew it with less than boiling water to get all the delicate flavours! Imagine a cross between a peppermint patty and your favourite chocolate, all in a creamy black tea. This original blend hits all the magical notes! Check out September's Summertime teas. Now taking orders on October’s tea box, shipping on the 17th. 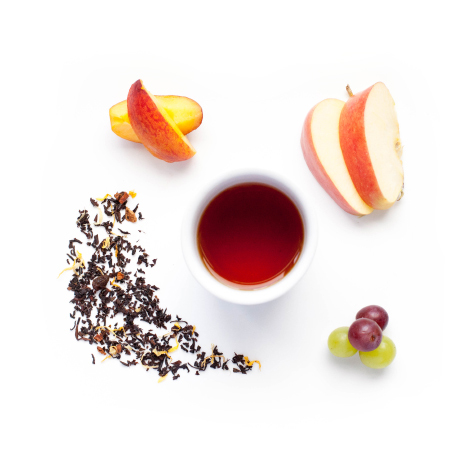 For when you're craving a taste of home, this apple pie rooibos blend is rich and decadent with bits of marzipan. Its Tibetan name means "The Five Treasures of Snows". Kangchenjunga is known to be the third largest mountain in the world and to reconcile passion, tenderness and spirituality. 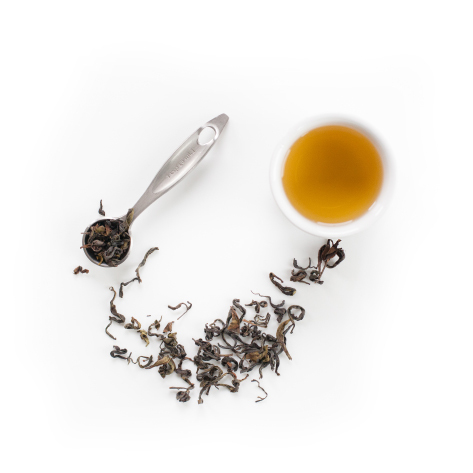 Floral, fruity, this unique blend from Nunshen recalls the mysteries of Tibet. 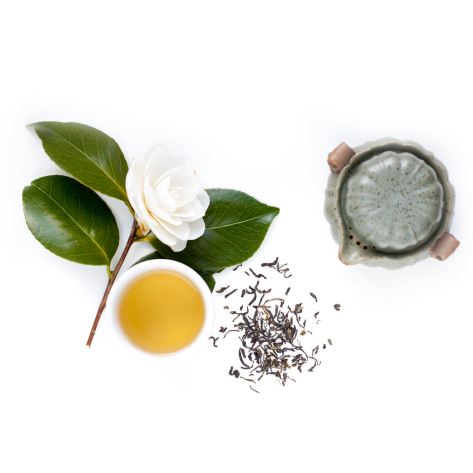 Floral, smooth and rich, this tea is the real deal: just organic green tea and organic jasmine flowers. 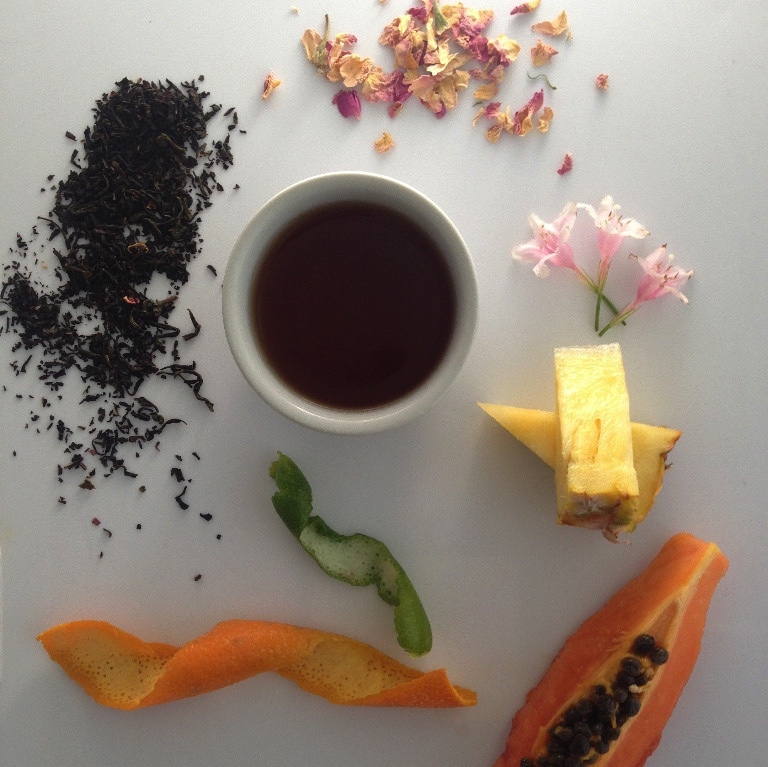 Check out July's Summertime teas. Now taking orders on August’s tea box, shipping on the 17th. Set sail to Morocco without leaving your kitchen! 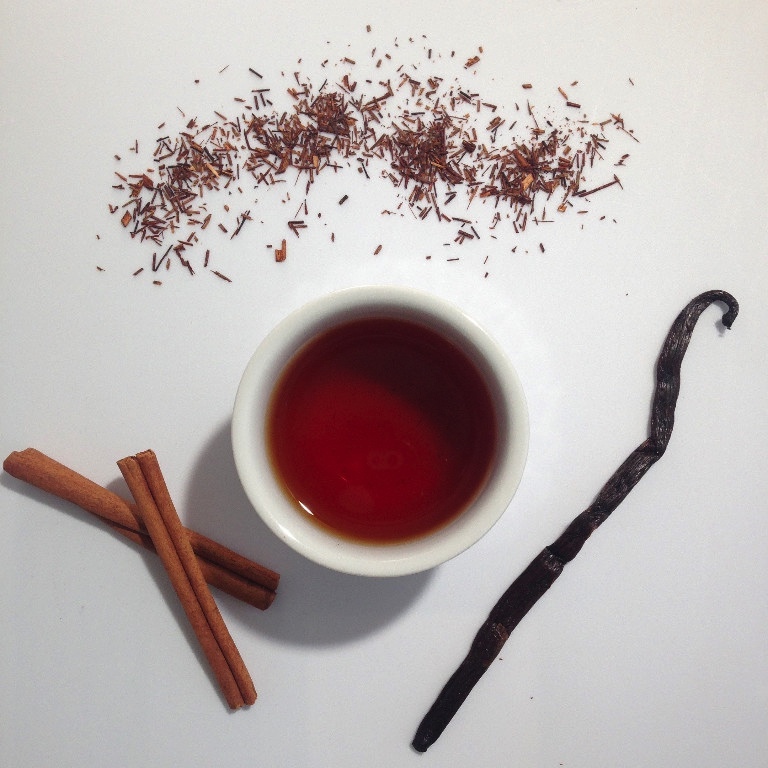 This delectable rooibos will woo even the most rooibos-skeptic tea drinkers. This is a naturally flavoured fruit mélange. Notes of fruity tart grapefruit harmoniously combine with sweet pineapples. It's certified organic as well and very refreshing when iced! This tea received a 10/10 at our tea party for originality! 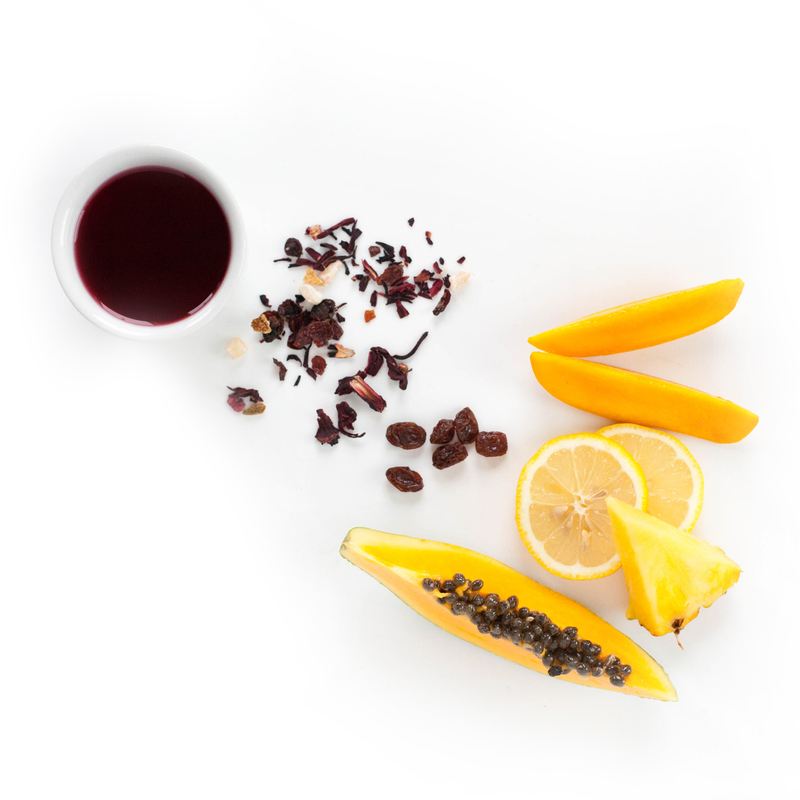 Think of a sweet concord grape ice wine combined with tropical fruits and a rich, earthy green tea. Amazing! 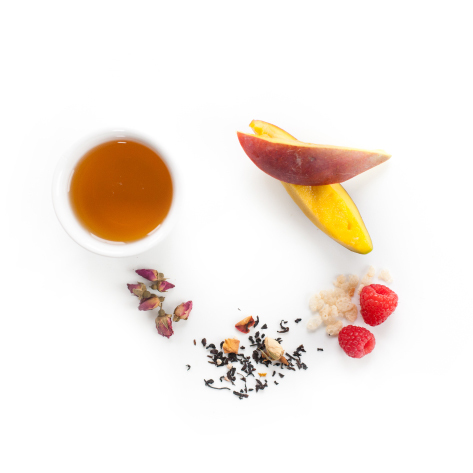 Our premier whole leaf China black tea offers the wonderful flavours and distinct aromas of passion fruit and peach. Not only is this blend visually pleasing, its clean finish and neutral balance allows the flavours to rise to the forefront of each sip. Check out June's Fathers day teas. Now taking orders on July’s tea box, shipping on the 17th. Sorry, no alcohol in this one–just lots of delicious, thirst quenching taste. This healthy blend is fantastic when served in a pitcher of cracked ice and sliced oranges. It has the natural deep scarlet colour and luscious taste of traditional sangria without the hangovers and dead brain cells. Original ayurveda blend. Spicy and gingery with hints of licorice and mint. An invigorating smell and flavour with smooth and full flavoured after taste. A wonderful refreshing tea iced! 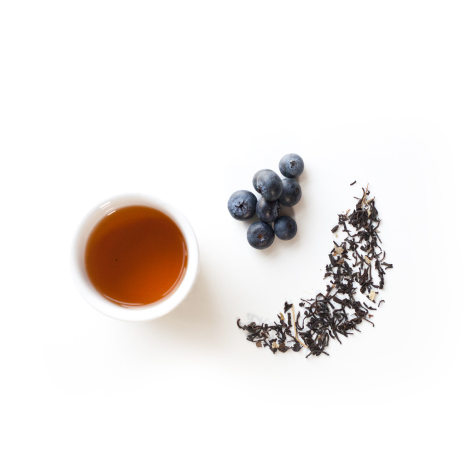 A sip of our Kenya black tea transports you to the lush, rolling green hills of Mount Kenya. This tea is fresh, malty, and smooth, but packs a serious hit of flavor. Sweet and complex on its own but equally superb with a splash of milk and honey to start the day off right! 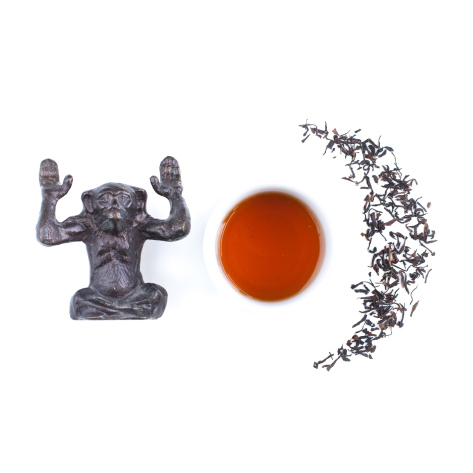 Rishi’s Iron Goddess of Mercy is hand-crafted twice each year, in spring and winter, by a fourth generation artisan oolong tea-maker in Mingjian Village in Taiwan. It is smooth and rich with aromas of roasted chestnut and notes of dried apricot. Check out April's teas. Now taking orders on May’s Mothers Day tea box, shipping on the 17th. 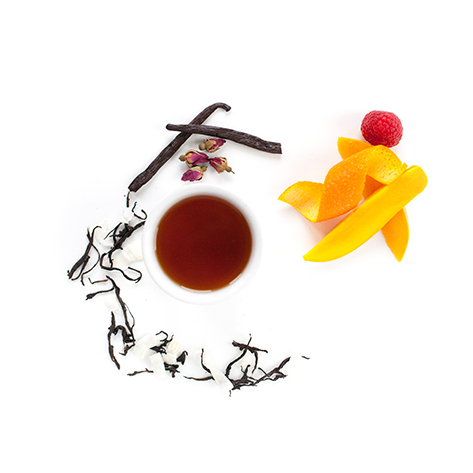 This black tea takes ‘pure’ to the next level: it is only the bud and first leaf that are picked. Its pale gold leaf threading is characteristic and what gives it its awesome name. Anyone feel like a banana? 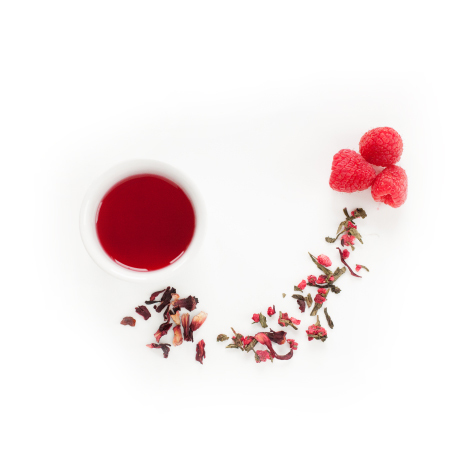 Smooth, steamed green tea blended with tart hibiscus and succulent raspberries. 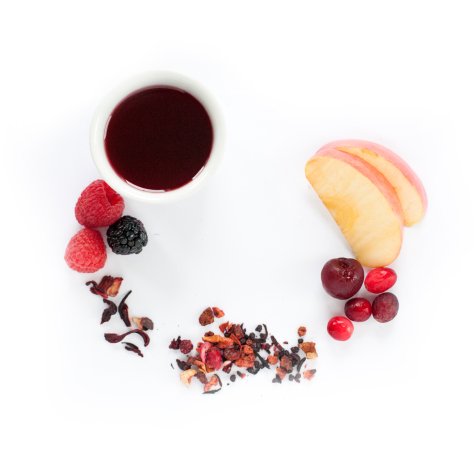 This blend is sweet, jammy and rich with a character that lends itself to tasty hot or iced tea. Goes well with a squeeze of lemon or pomegranate juice. Check out March's teas. Now taking orders on April’s tea box, shipping on the 17th. Sweet and seductive aromatic fruit flavour with a breeze of champagne! 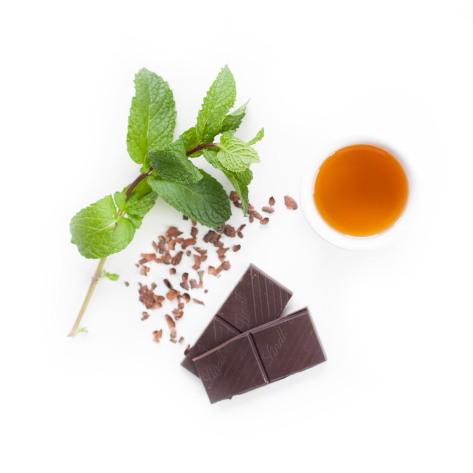 Tisano is redefining mint-chocolate. 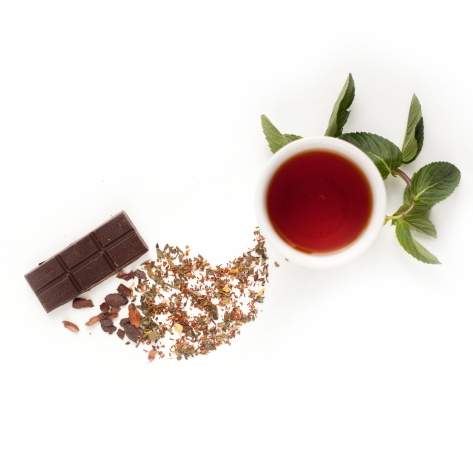 Our cacao mint tea is pure and simple, we take our signature cacao tea and blend it with organic Egyptian peppermint, creating a rich yet refreshing chocolate experience that lingers on your lips. Best with a drop of honey and milk! Check out February’s teas. Now taking orders on March’s tea box, shipping on the 17th. Thisisnotthekindof jamyoueat;it’sa fruity musical explosion jam session! Why reach for that peppermint chocolate when this tea is just as tasty, good for you and only 5 minutes away? Stop and smell, then taste, the roses. Check out January’s teas. Now taking orders on February’s tea box, shipping on the 17th. You put the pineapple in the coconut and drink it all up. What’s black and blue and delicious all over? That’s right, you’re looking at it. We’re guessing you’ve heard of superfoods by now. Here is a mouthful of superfruits! Still so good for you but also supertasty! 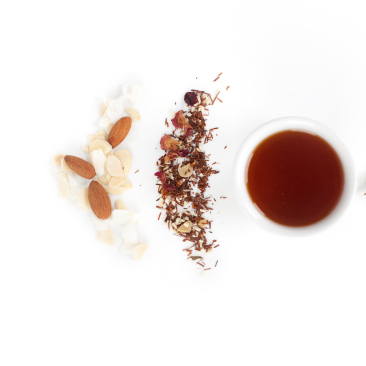 Chopped coconut and chopped almonds in a rich red rooibos base make this a creamy, warm, luscious cup of delight. 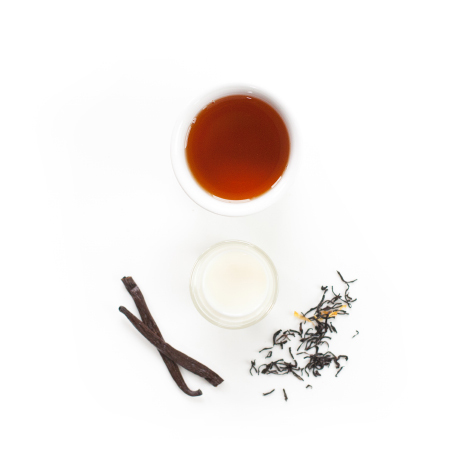 If you are fan of our Snowflake tea you will love this non-caf- feine version of it. Check out December’s teas. Now taking orders on January’s tea box, shipping on the 17th. We wanted to call this tea Fruitcake but thought that might have deterred some. It packs the flavour and spice of everything nice about this holiday season. And if fruitcake is your thing, brew this tea to wash down a slice! This tea is creamy, smooth and decadently floral. It isn't a Lady Grey, it's the Queen's grey! Japanese sencha blended with rose petals and cherries is all the flavour and aroma of a spring orchard...on a cold December day. Sonnentor is convinced that nature has the best recipes for a long and happy life. This sweet and spicy heavenly Christmas delight is no exception. Happy holidays. Check out November’s teas. Now taking orders on December’s holiday tea box, shipping on the 13th. Did you know that almonds and cherries are both stone fruit? While this explains their somewhat similar taste, we’re not sure it sufficiently explains why this tea is so delicious! You might be wondering if this tea really deserves its name. Make no mistake: this tea is legit; a classic Honeybush blend that deserves your teapot and a good book. 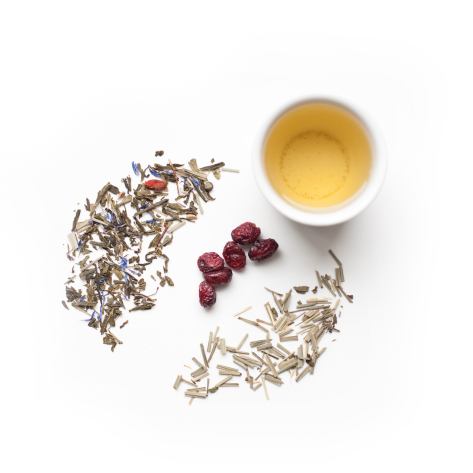 Fruity goji berries and pomegranate seeds combine with rich Sencha tea and lemongrass for a slightly sweet, slightly tart, slightly earthy, super bright cup of tea. Is that Turkish Delight in your pocket? No! 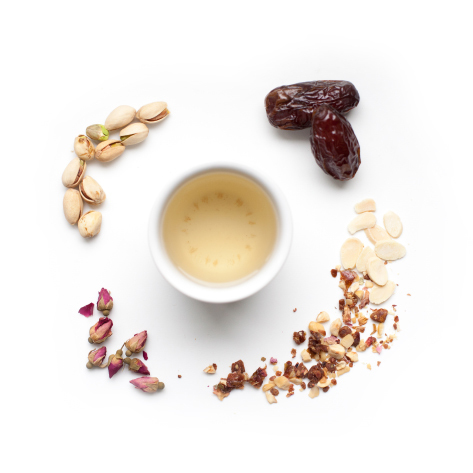 It’s a sweet, creamy blend of dates, nuts and rose petals. Check out October’s teas. Now taking orders on November’s tea box, shipping on the 17th. 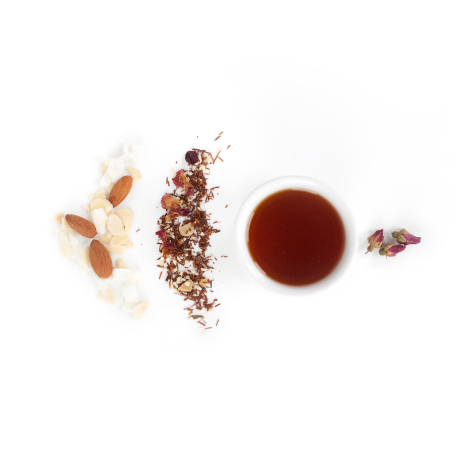 Simple, sweet and clean: this tea is exactly what it says it is. 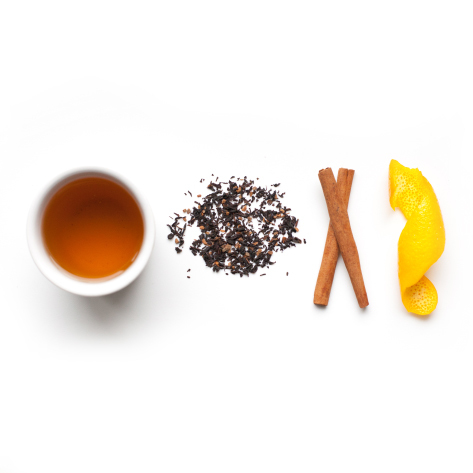 Think earthy, nutty rooibos – the perfect reason to turn on that pretend fireplace. 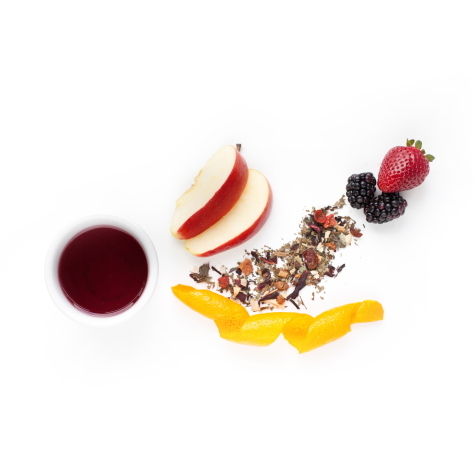 This blend of mellow Sencha and spicy, green mate is a real surprise and offers an elegant blend: slightly floral and nutty, reminiscent of black forest cherry cake. You won’t be disappointed. Is cinnamon and autumn a theme that is a little overdone? Perhaps. But we’re running with it because this one is that good: full-bodied black tea combines with sweet cinnamon and orange peel for a rich, warming cup of tea. Put on your sweater and the kettle; you know you want to. Check out September’s teas. Now taking orders on October’s tea box, shipping on the 17th. 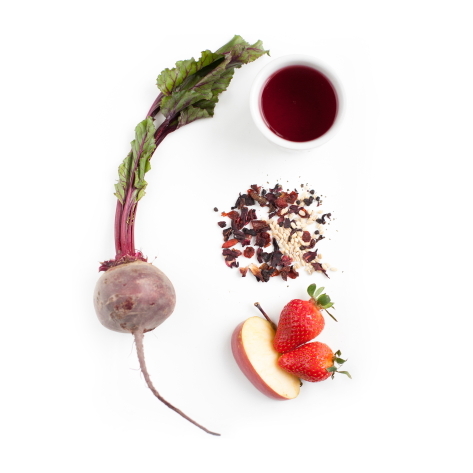 A fantastic fruit tea with a highly aromatic strawberry note. After infusion the fruit are also edible. Or mix the fruit with yoghurt to receive a wholesome snack. A sweeter taste when brewed hot and incredibly refreshing when iced! Jardin de Jaipur brings you luxurious vegetation from Rajasthan, India. 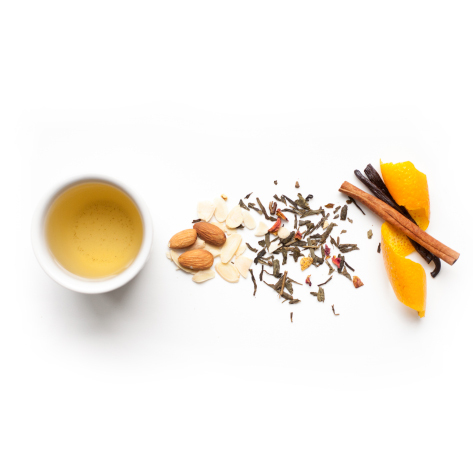 There is nothing like this gourmet green tea with flavors of cinnamon, almond and orange to have a delectable time. 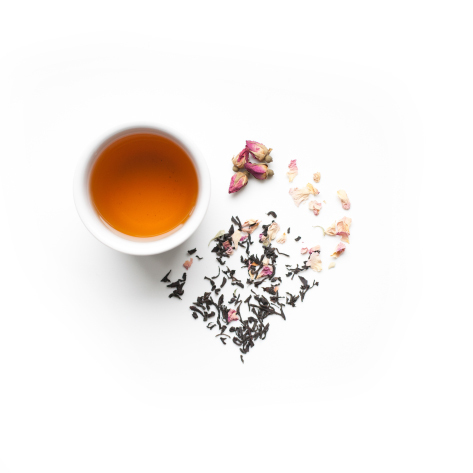 An exceptionally deep black tea, complemented with a pinch of bergamot oil and rose. 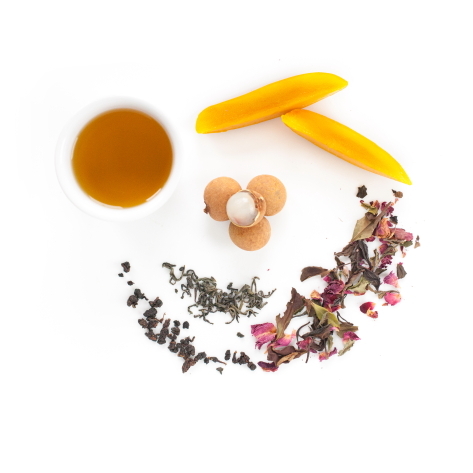 This tea is a lovely, energetic blend with fragrances of citrus and rose. Great with a dot of honey; this tea makes an excellent drink to incorporate into your daily schedule. Check out August’s teas. Now taking orders on September’s tea box, shipping on the 17th. 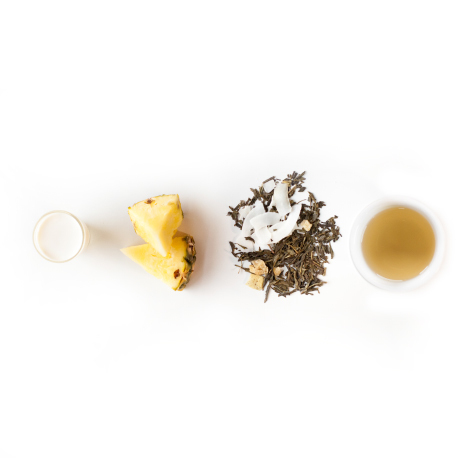 White tea with a fresh sparkling note of champagne and cassis. 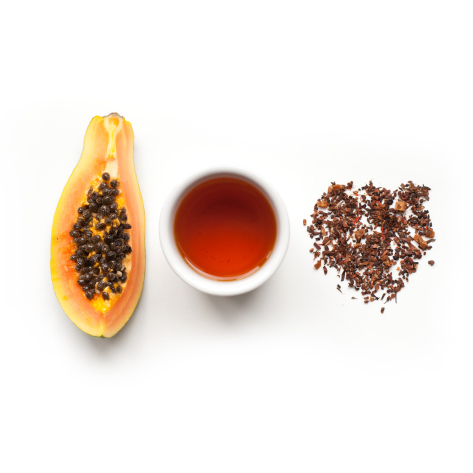 Our premier whole leaf china black tea offers the wonderful flavors and distinct aroma of Passion Fruit and Peach. Not only is this blend visually pleasing, its clean finish and neutral balance allows the flavors to rise to the forefront of each sip. Organic spearmint and lavender flowers – what could be better company to the croaking frogs and fireflies on a lazy summer evening? antioxidant base. What could be better? Only one thing: proceeds from this tea are donated to International Justice Mission Canada to fight human trafficking internationally. Check out July’s teas. Now taking orders on August’s tea box, shipping on the 17th. 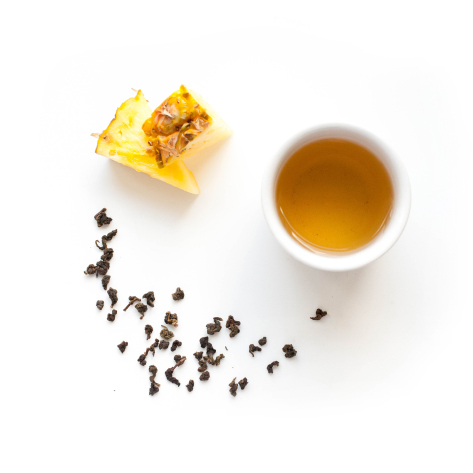 Se Chung translates into English as “colourful variety.” This tea’s smooth, exotic and earthy flavour is perfectly brightened by the tropical sweetness of pineapple. Enjoy this tea hot or iced; either way it is phenomenal! 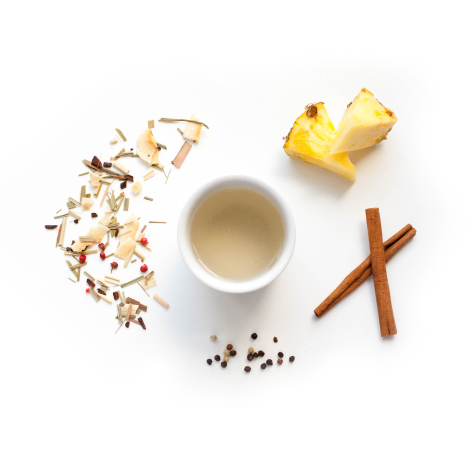 We have no idea what this name means or even what European language it is, but we are guessing it may have something to do with ‘delicious.’ Sweet pineapple, creamy coconut and spicy peppercorns weave together to make the perfect cup. 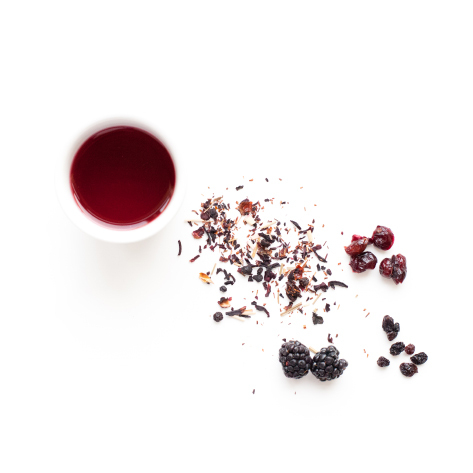 Earthy, bold rooibos contrasts with subtle, sweet raspberry. 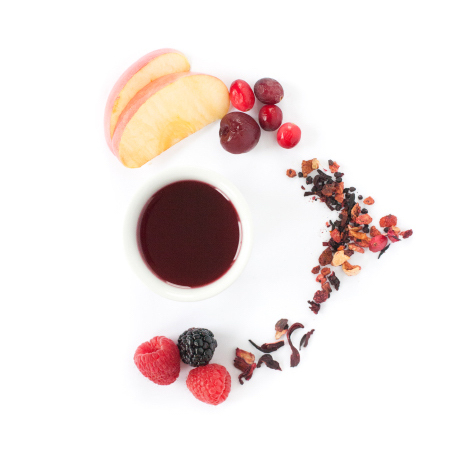 Succulent summer fruits combined with smooth black tea make you feel like you’re sipping wine at the vineyard. Grapes, apples, and marigold flowers with a peach finish. Corkscrew not required. This is amazing as a hot tea and is also exceptional poured over ice! Check out June’s teas. Now taking orders on July’s tea box, shipping on the 17th. 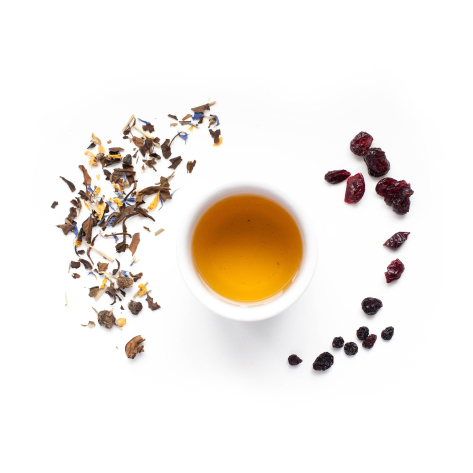 This delectable herbal has been blended with the bright fruity taste of just-picked black currants, and has a soothingly sweet lemongrass undertone. Check out May’s teas. Now taking orders on June’s tea box, shipping on the 17th. Naturally caffeine-free and flavoured with Madagascar Bourbon Vanilla beans and spicy cinnamon, the smooth body and soothing vanilla aromas will sweep you off your feet. This tea got a 10/10 for originality! It taste like a Concord grape green tea. 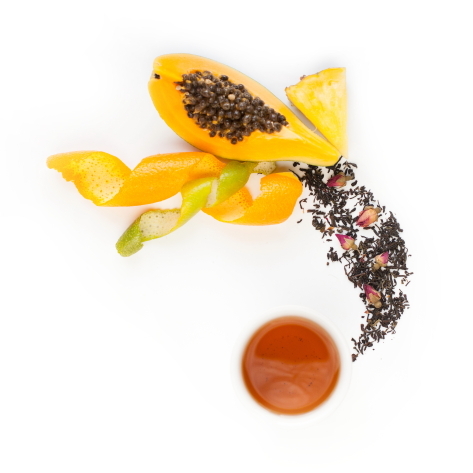 Think of a sweet ice wine combined with tropical fruits and a rich, earthy green tea. Amazing! Check out April’s teas. Now taking orders on May’s tea box, shipping on the 17th. 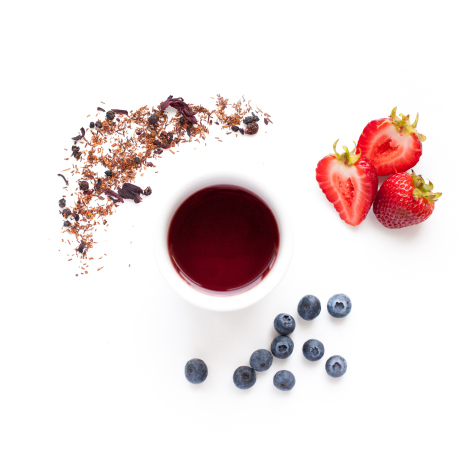 A fruity blueberry fantasy for foodies and tea lovers alike! Add a dot of honey and allow it to cool slightly to make the most of this slightly sweet, slightly tart flavour-packed tea. 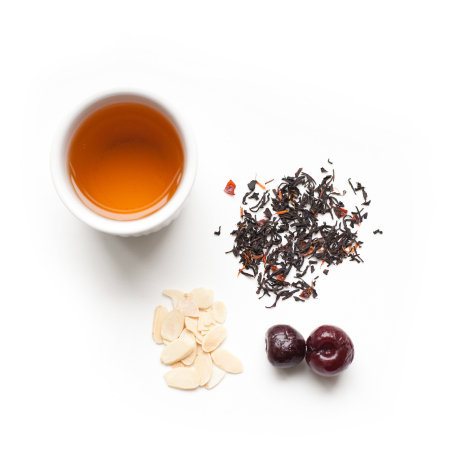 1894 Select Orange Pekoe is a strong blend of bright Ceylon and rich Assam teas. It is one of Murchie’s original blends, designed to celebrate and elevate the traditional, everyday ‘cuppa’. Brew this tea with slightly boiling water for 2.5 mins for best results. Check out March’s teas. Now taking orders on April’s tea box, shipping on the 17th. Could this tea be any more packed with flavour? 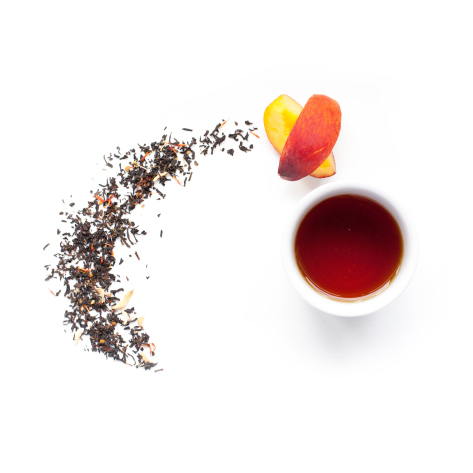 Beautifully blended in-house, this tea is full-bodied mouthful of floral, spice deliciousness. Just a spot of honey rounds out the lavender flowers. In the west we are only now discovering the antioxidant power and health benefits of Cacao–the bean that all chocolate is made from. Cacao contains over 300 compounds such as: proteins, fats, carbohydrates, fiber, iron, zinc, copper, calcium and magnesium. 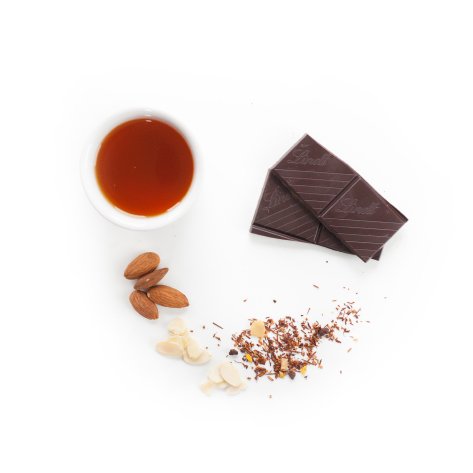 Our Organic herbal tea is made from the delicate fibrous shell around the cacao bean. 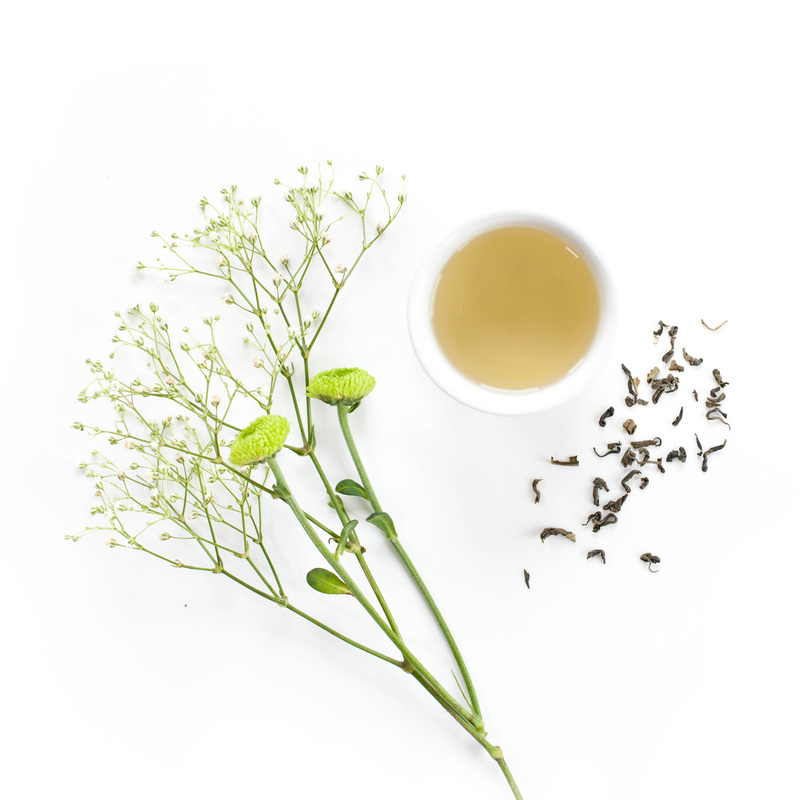 This tea is incredibly aromatic with a smooth, gentle taste. It hits your palate with subtlety followed by a deep, rich aftertaste. 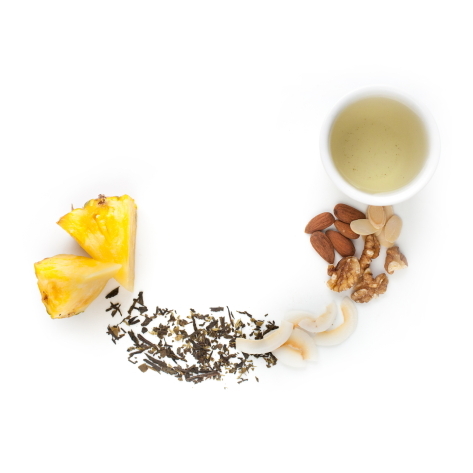 Allow the tea to cool to slightly above room temperature to get the full flavour profile. Tip: add a bit of honey to bring out the fruit taste. 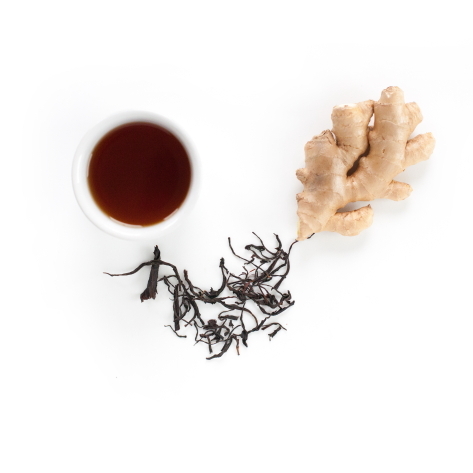 Our take on a classic pairing: enjoy the complex, yet unassuming ginger accent on a beautiful black tea! 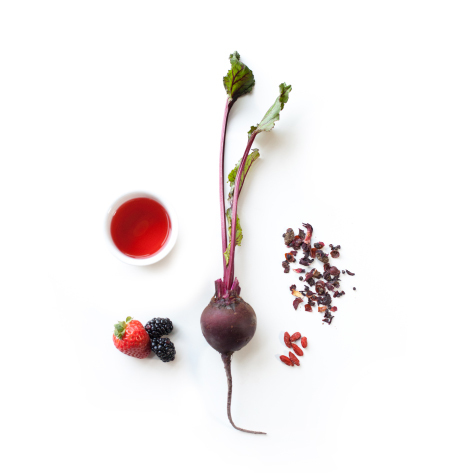 The depth of flavour is incredible: sweet, tart and savoury all in one cup. 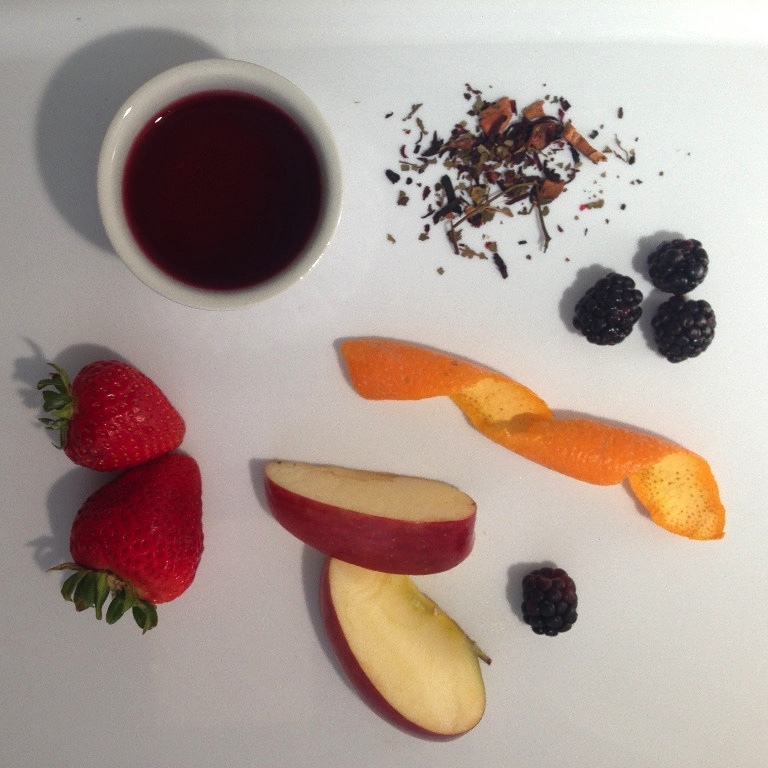 Everything you want in a fruit tea! Straight from the Zhejaing province in China, this great reinvention of the green tea formula is certain to seduce your senses with the addition of the sweet flavor of passion fruit. 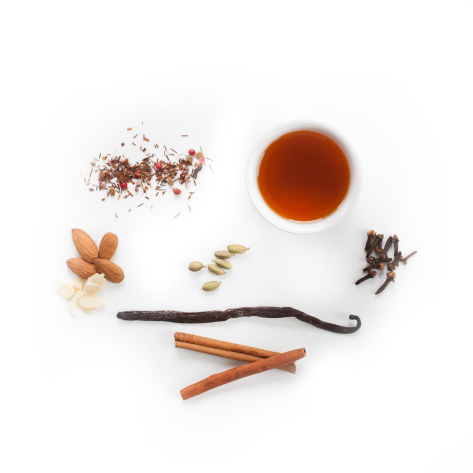 This lively spicy sweet rooibos blend is the most elegant and exciting herbal chai we have ever featured. We customized this blend to hit your palate on all levels. Enjoy! 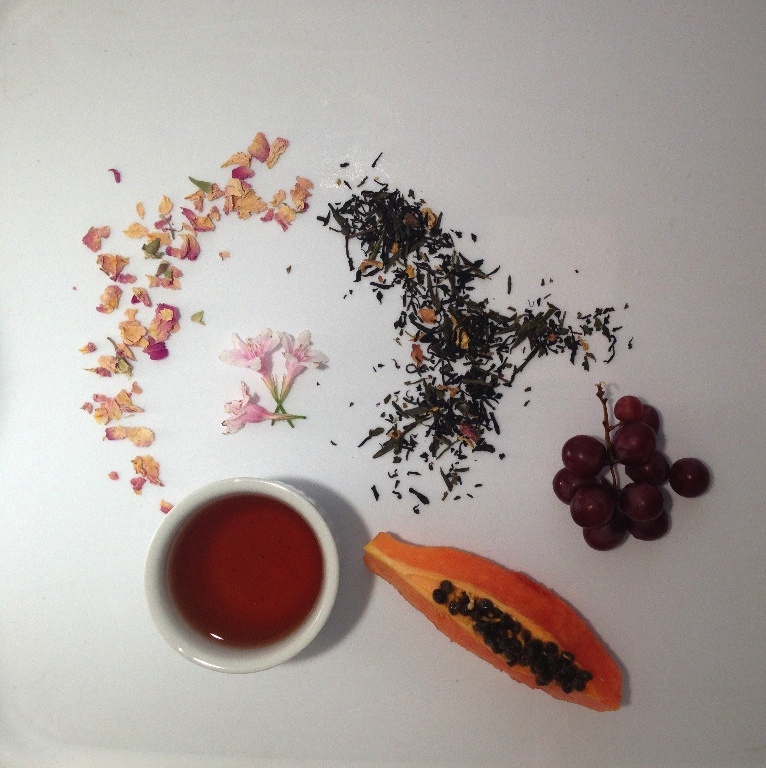 A beautiful and gentle black tea base, layered with rose buds and sweet raspberries and mangoes…delicious! This is Tea Desire’s best dessert tea yet! Think: fresh homemade cookies. 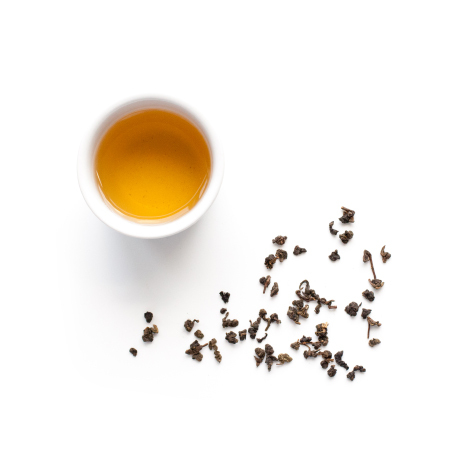 Born from Kenya’s first ever small-scale, farmer-owned artisanal tea factory, this oolong has everything you love about traditional Chinese oolong, with the sweet Kenyan tea taste. Check out November’s teas. Now taking orders on December’s tea box, shipping on the 16th, fingers crossed in time for Christmas! 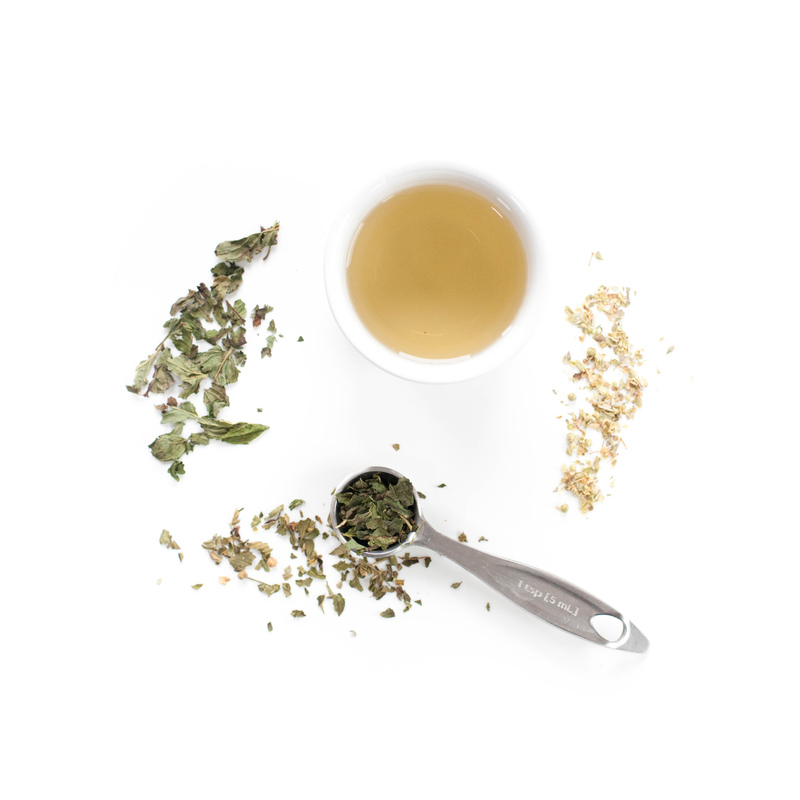 Clouds and Mist organic green tea, also known as ‘yunwu’, has a compelling aroma of smoky, citrus and vegetal. Its earthy taste, reminiscent of sweet, roasted artichokes, is well-rounded, with a slight note of toasted pecans. 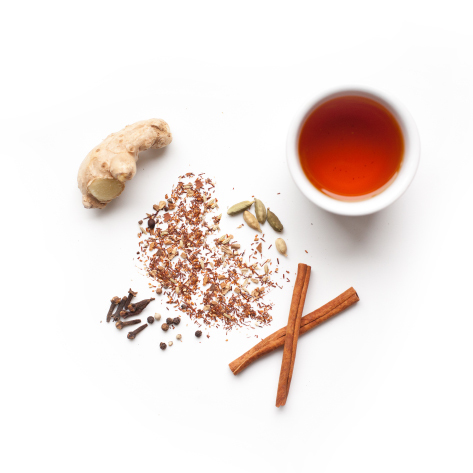 The organic rooibos is beautifully spiced with whole ingredients to make a sweet spicy uplifting cup of chai. This unique and delicious blend is both uplifting and thirst quenching. Oregano, an herb from the mint family, is wonderful for fighting colds and flus, while peppermint offers benefits to the respiratory system, including for coughs. 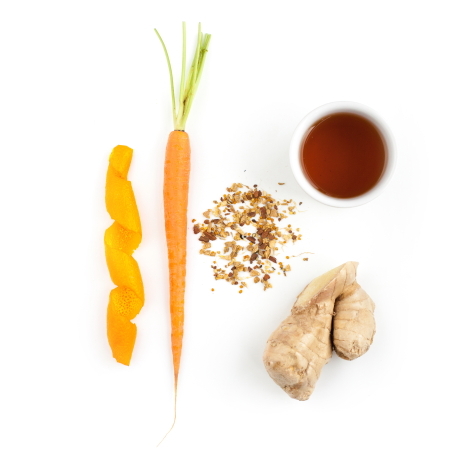 Enjoy drinking this perfect seasonal tea and the health it brings you! Every now and then a scented black tea comes along that hits the nail on the head. The almond slices and almond extract combine to make that wonderful candied taste that makes this tea so wintry delicious. I just received my first box of tea. WOW! They smell amazing. I'm just brewing my first choice. I'm hooked. Amazing selection of teas each month and phenomenal customer service! I was looking for a way of trying new teas without having to do a ton of research or driving to a dozen tea stores. Tea Sparrow delivers! I have especially enjoyed the rooibos teas. I love the teas that I get every month. Such a great way to explore a wide range of teas. This would be a great gift for friends and family. Teas chosen by Tea Sparrow are always the finest. The flexibility linked with the boxes (you can pause your subscription and start it again with ease) makes this service extremely convenient. It is a small local company from Vancouver and it is exciting to drink their teas. Tea Sparrow delivers tea in a way that reminds me of being a little kid and getting a letter in the mail...Each tea was fresh and rich and I was left feeling like I held a secret about what Vancouver really has to offer for tea. I love the selections Tea Sparrow mails to my door each month. They are high quality and each month has a special theme. I've had a subscription since the summer and thoroughly enjoyed making iced teas for my sister and I to enjoy. 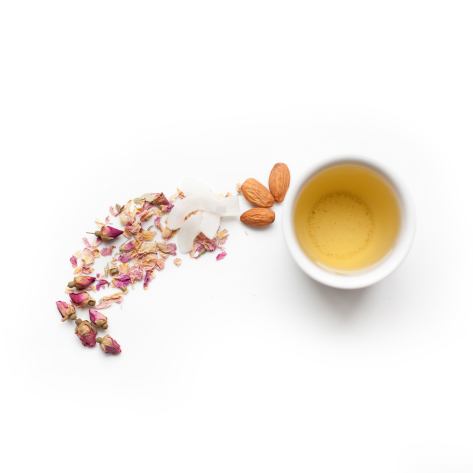 With your Tea Sparrow subscription, you’ll receive 4 select loose-leaf teas each month: one black, one green, one rooibos and one herbal tea. You can expect about 35 cups of tea per month: more than enough to spread the love or completely hoard for yourself. Get posts, tea tips and giveaway updates delivered right to your inbox.